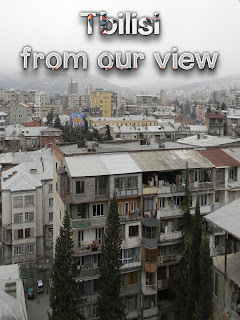 Today begins a new feature on my blog. Each week this year, I’ll be inviting another homeschooling (or after-schooling!) parent to share their story with all of you. 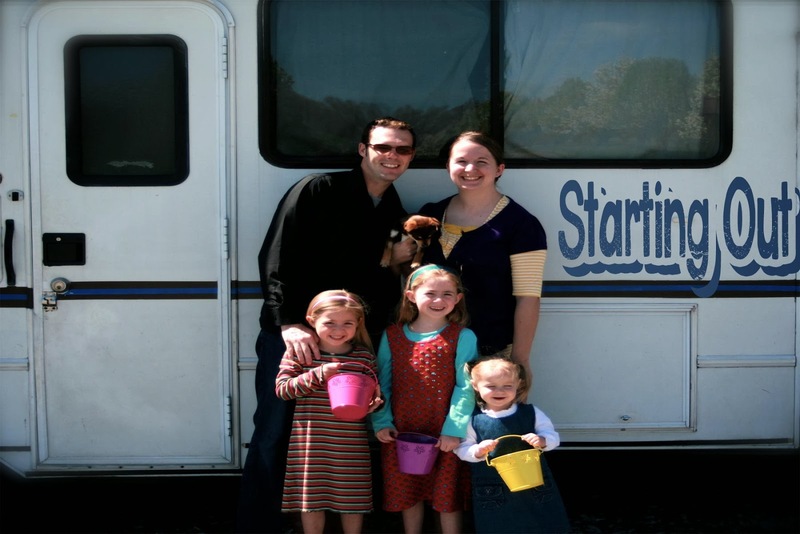 Today we get to hear from Kim, who is homeschooling her four daughters in the Republic of Georgia. Georgia (not the state!) is just above the Middle East and just below Russia. We had always planned on homeschooling. There was never another option in our minds. When our oldest started school we lived in an area where the schools had some issues that we just didn’t want to deal with. At first I wondered if she was “unsocialized”, so we joined a co-op for a while. THEN, just a few months into it we were approved to go as missionaries to the Republic of Georgia. The catch being that before we were able to head overseas we first had to travel to churches in the U.S. asking them to support us on a monthly basis. So, with three kids (at the time) in tow, we set out in a very small motorhome to do just that. Those first two years were incredibly eclectic and at many times we did more of an unschooling approach. Because we were traveling so many places we also had the opportunity to do a lot of “field trips.” We checked out every free museum, factory tour, park that we could get near. I’m finding out as time passes that we missed so many! We also did a reciprocal membership to the children’s museums in which you pay one membership fee, but get access to tons of children’s museums throughout the U.S.
After we finally moved overseas we found it VERY difficult to settle into a routine because we had gotten used to such a nomadic lifestyle. Did I mention it was hard? To ease the transition for all of us we continued with a light workload (we were doing 2nd & 1st grades) and read LOTS of books. Fiction and non-fiction. My mother had scoured second hand stores looking for great children’s books and we paid to have them all shipped here. Because we have only one English bookstore in the country and everything is full price (and in British English) we found paying for the shipping to be essential for our kids education. They can never get enough books. We’ve also been gifted Kindles for each child and we download lots of open domain and free books. Anyway, enough about all that. Starting school at 10 a.m. The business day starts later here, so we do too. We My two oldest are in 5th and 4th grades, but they do almost every subject together with the exception of math. They are also on their own spelling track because we are using Spelling Power. For our curriculum base we use Math-U-See for math (of course!). We use BJU for English and also as a reference point for Social Studies and Science. However, we supplement a lot. We use a lot of Magic School Bus kits for science and a lot of non-fiction books for both Science and Social Studies. We’ve never been able to find a good science curriculum that is both easy to implement and uses common household items for experiments. 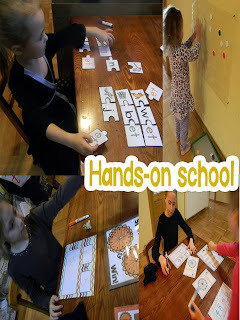 I’ve made a few games for them and we do a lot of activities that we find on Pinterest. Anything that we can do hands-on is our favorite for the day! Especially with play dough. Even for the older girls. For my kindergartener, we are letting her go at her own pace. It’s not a very fast pace right now, but she is gaining momentum. I create almost everything that she does for school. She does much better with interactive games and activities than with sitting down to a worksheet or a book. It has been a different experience for us because our oldest two taught themselves to read very early. However, I very strongly believe in letting a child build a love for learning above what is mandated to them, so bit by bit we will progress and one day those lightbulbs will start flashing in her mind. We also have a great 2 1/2 year old daughter that tags along for everything. We have a school room that contains all of our schooling supplies, but the kids do school all over the house. I often will have them sit at the dining room table while I’m working in the kitchen, so that I can work and also keep them on task. But they really love doing school in front of the fireplace in the winter. The biggest thing about homeschooling is that you can be flexible. What worked yesterday may not work today. That is OKAY. Remember that learning is so much more than textbooks. Learning is life. One of my favorite mottos: Live simply. Dream big. Give love. Laugh lots. With that and God anything is possible! About Kim: Kim blogs at Life Over C’s. She also can be found at TeachersPayTeachers, facebook, Twitter, and Pinterest. Follow her for more great homeschooling ideas. Do you have an questions for Kim and her family? Leave a comment below. 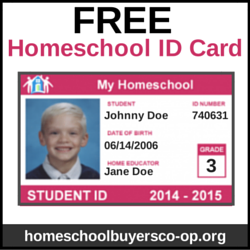 Would you like to contribute to the Homeschool Open House on Line upon Line Learning? Email me at rebecca[at]rebeccareid[dot]com for more information. You do not need to have your own blog to participate. Kim, thank you so much for joining in and sharing your homeschooling story! It’s so rewarding to hear how other homeschoolers “do school”! Thank you for your post. We homeschool our boys. My 2nd grader is having trouble reading. Do you have any pointers that could help me help him? Jennifer, I’m glad to meet another homeschooler! Sorry for your difficulty with your second grader. The best solution is going to depend on what type of personality he has, what you’ve already worked with, and so forth. Read together, take the pressure off of your child, and search for ways to make reading enjoyable for him. I hope those ideas may help you! Thanks for reading along! Hi, we’re moving to Georgia soon too, very excited. I was just wondering if you have had any problems related to homeschooling being illegal Georgia?